Sixmile Design can design, develop and build an eCommerce online solution for you. The eCommerce website will be responsive to the mobile platform which means the site will be optimised for mobile. Today, more potential customers will be viewing your website on their mobile than on the standard desktop computer. Selling online means your shop being open 24 hours a day, 7 days a week and it is vital everyone can view it no matter what device they are viewing it on. 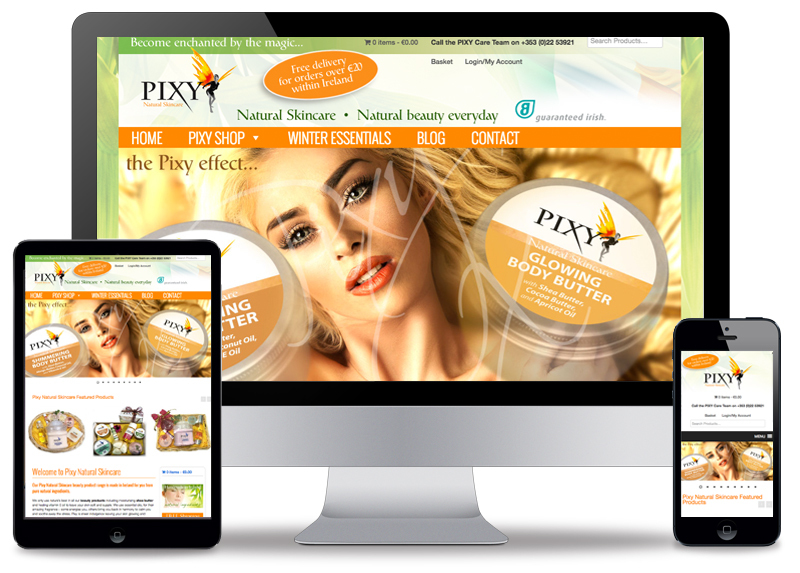 Not only will it contain eye-catching graphics and product imagery it will also be functional and built with SEO (search engine optimisation) clearly in mind. I can also advise and implement marketing campaigns for your website. The site will be built in WordPress utilising the powerful eCommerce plugin WooCommerce. The main strength of WordPress is that it has a massive eco-system of plugins that will bring a plethora of functionality to the website. Here's just a sample of functionality I've used in the past to give that extra edge to the website and online selling. Promotions, voucher and coupon systems and promotional buying incentives. The site will be tailored and put together with some eyecatching graphics which will show off your products in the best possible light. Showcasing your products. It is crucial that your products are well presented through use of informative text, descriptions and photography. Typically you want to draw the potential customer into the buying funnel where they land on your website through curiousity, read and browse your website and products, become interested in purchasing and buy taking them from cart to checkout and the sale is made. An SSL cert is also needed for taking payments on the website. When installed on a web server, it activates the padlock and the https protocol and allows secure connections from a web server to a browser. This is why you see ‘https’ and the padlock icon on websites that take payment (usually on the checkout page although not exclusively). Sixmile Design can advise on, work with you and implement marketing strategies which will help promote your eCommerce website and more importantly your products. Building the website is just the beginning. It is crucial that marketing and SEO work is progressed if the website is to be found and sales made. But what fuels great SEO and marketing is information and material. Product information, company information, visuals, images, eye-catching photography and video. Today video is especially popular and can be very helpful on an eCommerce site to help sell the products. Track information on Google Analytics which will give insights into popular pages and products on your website. For example, what pages get the most hits on, help generate sales and where potential customers are exiting the website. A collaborative process delivers success.